"Adobe ID and Password do not match. Please try again." Passwords are protected. The only way to recover a forgotten password is to use the “Forgot Password” option. If you used a fake email address you must create a new account. The new account must use a different email address. 1. Use the forgot password feature. If you do not receive an email from Adobe, check your Spam folder. A. Try to create an account again with your correct email address. If you are able to create an account on the second try, your first try must have contained a mistake. A. Please contact the Help Desk. "An Adobe ID with this email already exists." This message means that some time in the past you have created an Adobe ID using this email address. Click “Sign in” and use the “Forgot Password” option to reset your password. An email will be sent with a link to reset your password. If you do not receive your email check your spam folder and spam settings. Then click on “PDF” to download a copy. If someone else has used the same computer to access the Nestlé Purina Training LMS a cookie has been left on the computer. This is preventing anyone else from signing in. 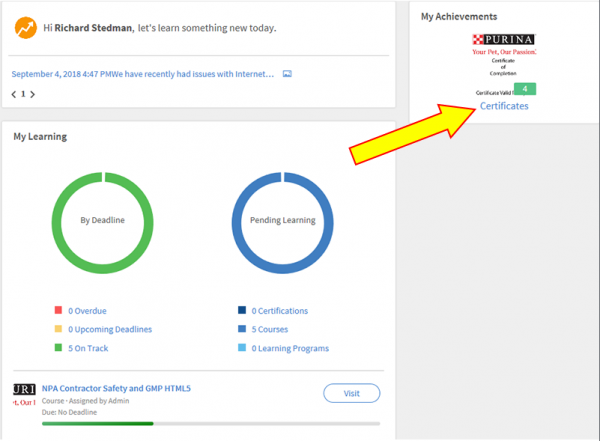 You should always “Sign Out” when you leave the LMS to clear the cookie. Corrective Action: Option 1: Clear cookies in your browser. 1. Please go to any other web page first. If you are on the Nestlé Purina page a new cookie will be placed on your computer immediately after you clear cookies. 3. Return to the Instructions page and try again. Link to instructions page at bottom of this page. 1. 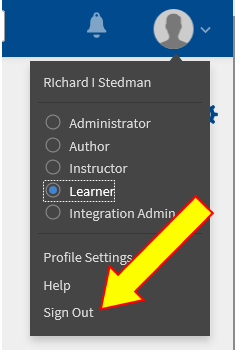 If you know the last person to use the Training LMS, they should log back in then use the “Sign Out” option. This option is located under the silhouette (person’s head) in the upper right corner. 2. Return to the Instructions page and try again. Link to instructions page at bottom of this page. Browsers have a Private mode. Safari click on “File” and it is “New Private Window”. 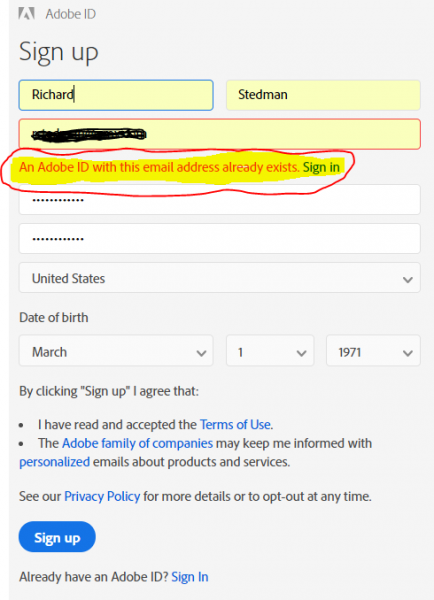 Is it possible you already have an Adobe ID? If you do, use the “Create New User Account Option” on the instructions page. Do not use the “Get an Adobe ID” option. Enter your email and password associated with your existing Adobe ID. NOTE: Remember to “Sign Out” before you leave the LMS. If you are using Internet Explorer, please sign out and log back in using Chrome or Edge.